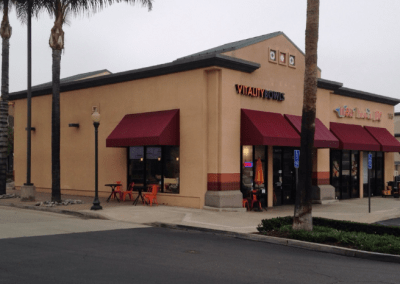 Vitality Bowls Brea opened in June 2015 in the middle of downtown Brea as the first Vitality Bowls location in Southern California. 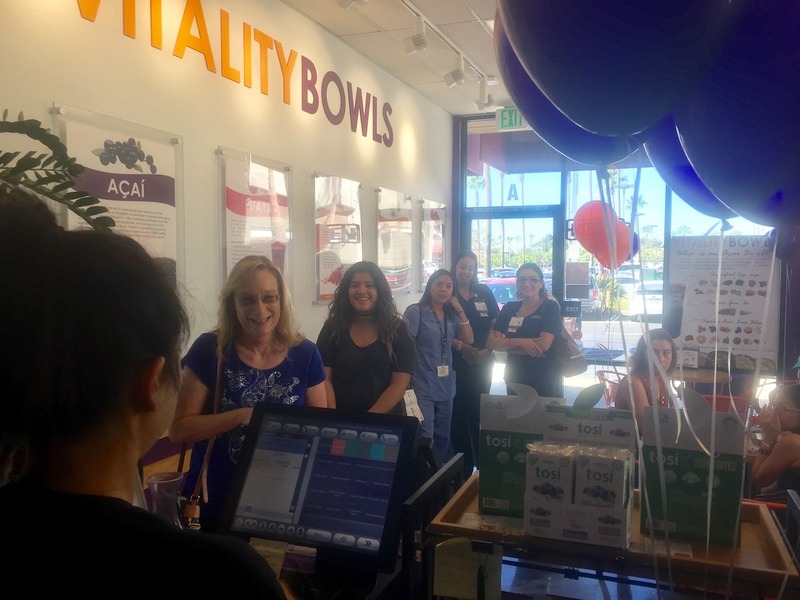 Situated close to Cal State Fullerton, and an upscale retail area, Vitality Bowls Brea draws many professionals, shoppers and students alike. Brea is picturesque city located in north Orange County, bordered by Los Angeles County. Mild winter weather and proximity to the beach make it a wonderful place for outdoor sports. 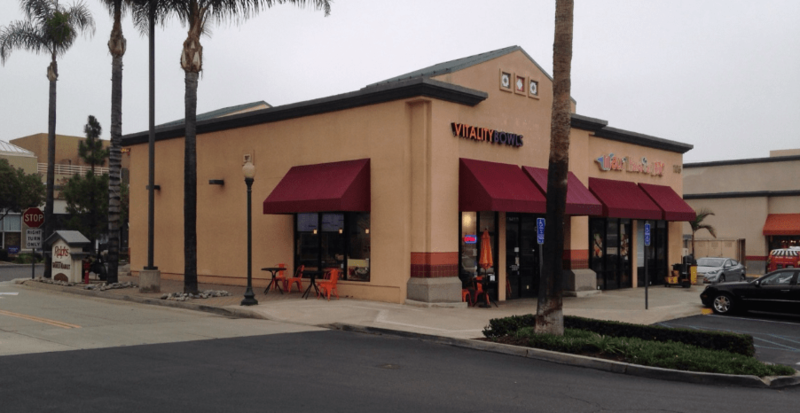 Vitality Bowls Brea offers acai bowls, smoothies, fresh juice, salads and Panini. The location’s signature Brea Bowl is one of the most popular menu items and is a blend of Acai, VB Superfood Blend, Banana & Strawberries; topped with Hemp/Flax Seed Granola, Banana, Strawberries, Blueberries & Honey. Vitality Bowls Brea also caters to local businesses, schools, meetings and events. Won and Christina Kim, owners of Vitality Bowls Brea, have always been fitness enthusiasts and proponents of healthy eating. 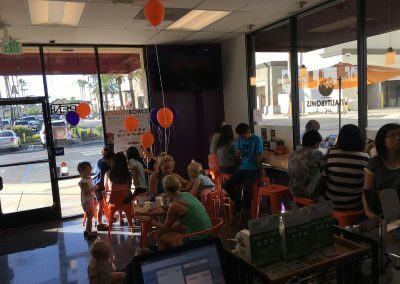 They knew Vitality Bowls would be the perfect fit for their family as they are passionate about bringing a healthier food option to their hometown. “If you want a good variety acai bowls without having to think much about if it will be good, this is a great stop. The prices seemed a bit high but you get a lot of stuff. They have gluten free granola if you ask for it, that is vegan. Yay! Ive tasted like 5-6 bowls here, the green bowl and the peanut butter bowl were my faves!! The green bowl was very unique, I could taste a bit of the kale but it was sweet too, and I got to try the GF granola on it. 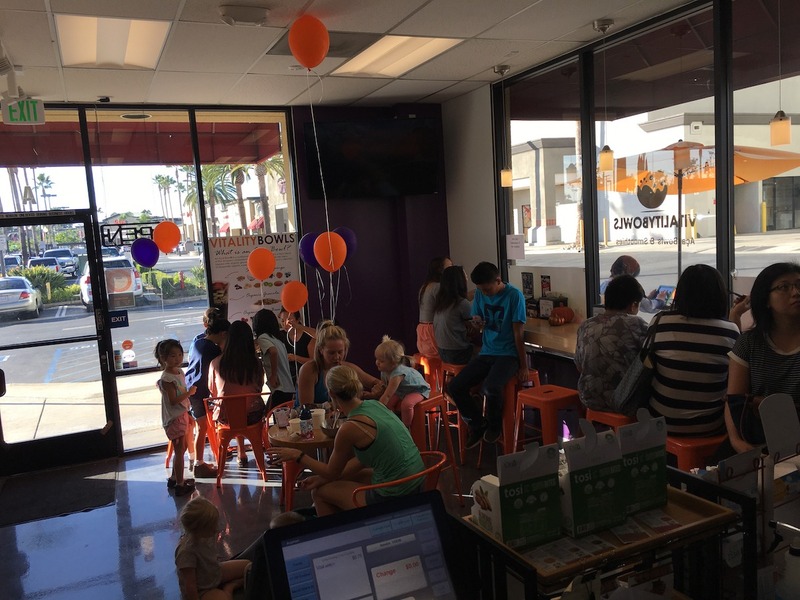 This Vitality Bowls location is just outside downtown Brea on Imperial Highway and Brea Boulevard in the HomeGoods anchored shopping center. We ordered a kids bowl and the nutty bowl. Both were great! The kids bowl had an acai blend base and was topped with granola, strawberries and banana. It was served in a medium plastic cup, as we requested the item to go. The bowl was overpriced though. It was $5.99…should probably be priced at $4.99 or less. The nutty bowl was fantastic. We ordered a medium bowl-acai blend with peanut butter topped with granola, strawberries, banana, slivered almonds and honey, aka HEAVEN!! At $9.99, the bowl was absolutely worth it, and just perfect for 2 adults to share. Overall, we had a great experience. We will definitely return, and recommend this locale to others. TIP 1. If you’re in a rush, you can order your item(s) and pay for them online in advanced. While we were in the store we noticed two people walk in to pick up their orders. Virtually no wait time. They just said they were there to pick up, gave their name, and they were given their online order-in and out the door in less than one minute. TIP 2. Spend some time in the store. Vitality Bowls ‘walks the walk’ in the sense that they are not only selling fresh, organic juices, salads, bowls, etc. but throughout the store you are reminded of the health benefits of eating these items, including superfoods. Plus there are health related community event and resource fliers on one of the tables along the wall. TIP 3. Are you or your kids in the mood for frozen yogurt or ice cream? Try an acai bowl instead.